Terry is a graduate of Tacoma Community College Radiologic Technologist Program in Tacoma, Washington, with associate degrees in technical arts, liberal arts, and arts and science. She has recently accepted the position of manager of outpatient diagnostic imaging with St. Joseph Medical Center, Tacoma. Prior to joining St. Joseph Medical Center, Terry served as the director of clinical services for Center for Diagnostic Imaging Northwest. She also was the original center manager and technical director for the first outpatient MRI facility in Tacoma, called Tacoma Magnetic Imaging, for 15 years. Terry is recognized locally and nationally in the radiology community for her clinical expertise and dedication to the medical community. She was recently voted the number 1 radiologic technologist in the United States by readers of Medical Imaging Magazine for 2007. 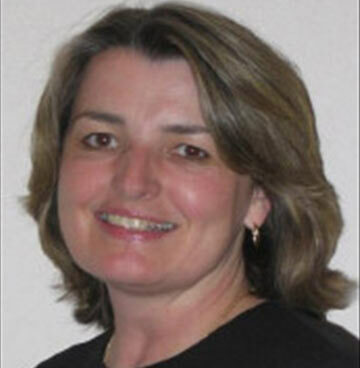 She is an active local and national speaker on a variety of MRI and patient care topics. For the past 27 years, Terry has been a part-time instructor for Tacoma Community College's Radiology Technologist program. Her courses include "Introduction to MRI and CT Physics" and "Sectional Anatomy." Terry also was a contributing author to the book by Peter Rothschild, MD, and Debra Reinking, MD, titled Open MRI (published in 2000 by Lippincott Williams and Wilkins). Since 2000, she has been appointed to serve on the ARRT Advanced Certification Examination Committee for MRI technologists. She also serves on the SMRT Educational Committee. She is a member of the ARRT, ASRT, SMRT, and CMRS. Terry believes it is an honor to be selected as senior associate editor of eradimaging.com, and she looks forward to sharing and promoting her passion for this field with others. "I am fortunate to be in a position to help direct and influence the future of this profession, and to be able to share my knowledge and experience with others," she says. "I have been fortunate to have had great teachers and mentors throughout my career. I look forward to sharing and learning from others who are also dedicated to this profession and who share in my passion!"